/ Modified nov 18, 2016 3:52 p.m.
Phasing out big cat removal after signs of success in Catalina bighorn sheep reintroduction. 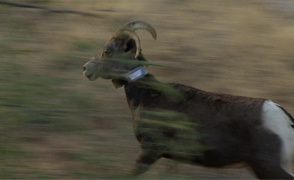 A desert bighorn sheep with a GPS collar runs into the Pusch Ridge wilderness. State wildlife officials will no longer kill mountain lions that prey on the population of reintroduced bighorn sheep in the Catalina Mountains north of Tucson. Mark Hart, spokesman for Arizona Game and Fish, said over the past three years his agency contracted with a third party to lethally remove mountain lions that attacked the sheep. That contract has ended and is not being renewed. "That part of the project, albeit controversial, was never intended to be long term," he said. "It was essential, though, in the initial stages of the project, to ensure that one or more mountain lions did not wipe out the population in the early phase. " Eight mountain lions have been killed as part of the program to reintroduce a herd of bighorn sheep in the mountain range, which began in 2013. Hart said the first phase of the project has been a success. 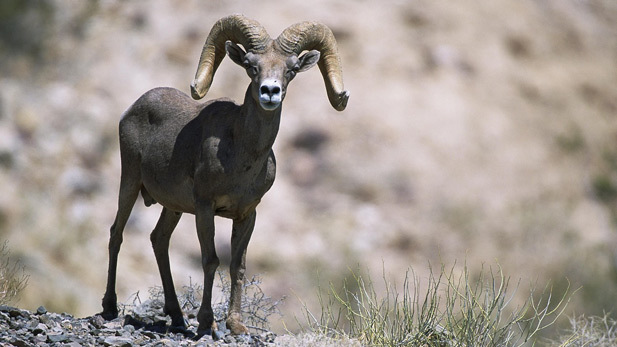 There are an estimated 65 bighorn sheep now living in the mountain range, and 20 more will be released next week.